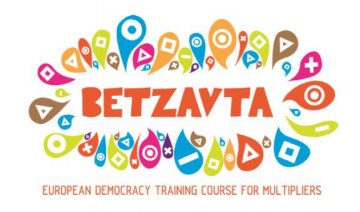 We are happy to invite 22 multipliers (NGO staff, educators, trainers, activists, students of social sciences, youth workers, elementary and highs school teachers interested in civic education…) with residence in Poland, Germany, Croatia, Spain, Romania, Denmark and United Kingdom to take part in the two-stage training Practicing Democracy – Betzavta Training Courses. The Basic Betzvata Training will take place in Krzyżowa, Poland from 7th to 13th December, 2017. The Advanced Betzavta Training will take place in Trebnitz, Germany from 10th to 16th March, 2018. Betzavta is a Hebrew word which means “together”. The title of this method for learning about democracy, which was developed by the Adam Institute in Israel, makes up the programme and philosophical background at the same time. Betzavta questions the traditional and unsatisfactory paths of conventional conflict resolution with surprising seminar units and presents in its place the concept of creative conflict resolution. With the help of a special conflict dilemma method, it achieves the essential conditions for tolerant social interaction: the willingness to mutually recognize the right to personal freedom and other peoples’ needs. On this basis, the four steps of democratic decision-making provide the conflicting parties with a valuable tool for dealing with conflicts in a novel way. Betzavta is an internationally renowned democracy education programme used in schools and non-school educational institutions. During The Basic Betzvata Training participants will have a chance to become familiar with the Betzavta method. Through a number of games and interactive activities they are going to explore the democratic decision-making process in a more personal way, and eventually get a more fundamental understanding of democracy. In order to further build on the knowledge gained during The Basic Betzavta Training, The Advanced Betzavta Training will offer a chance for participants to focus on their own role as a Betzavta facilitator and ways in which the method can be applied in different working environments. Furthermore, the international composition of both trainings fosters development of intercultural cooperation on the international level. 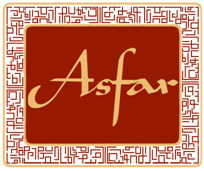 Thus, both trainings offer to multipliers a platform for exchange of ideas regarding their understanding of democracy.